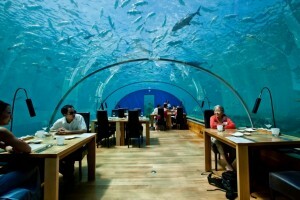 This amazing restaurant, as the image suggests, is secured five meters below the sea level. The Ithaa restaurant is situated within the Hilton Maldives Resort & Spa. The restaurant is made out of acrylic building with a seating capacity of only fourteen people at a time. The 270 degrees panoramic view of the sea gives a feeling to its visitors that is truly unexplainable. The restaurant opened its doors to public in 2005. You can find contemporary fusion Maldivian cuisine at the restaurant. There are also dishes made from the Asian and Western influences. The restaurant was designed by a New Zealand based design and construction firm. 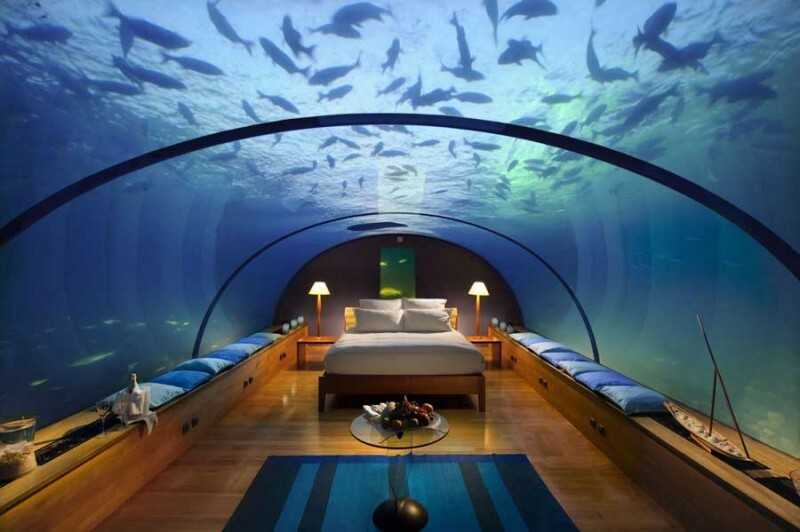 If you want to spend a few moments in this amazing undersea restaurant, you’ll need an advanced reservation. This unusual eclectic restaurant opened its doors in 1979. 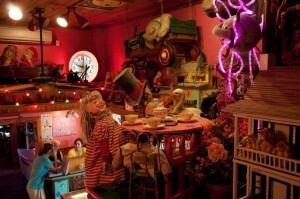 The restaurant makes use of classic toys from early 30s and 40s as interior decor objects. The bubble room initially began as a small single-room eatery however it transformed into a multi-themed restaurant, having occupied all three stories of the same building where it had commenced. The staff of this restaurant is called ‘bubble scouts’ with each of them outfitted in a crazy hat. The restaurant has not only moving trains, photographs, classic movies videos but also offers classic background music that makes it an unforgettable experience Bubble Bread, Socra cheese (a cheese served flamed tableside), and many other colossal-sized desserts are the food specialties at the bubble room restaurant. The Ambrosia Restaurant lies in the amazing Greek island of Santorini, which has been one of the hottest tourist destinations in Europe since many years. 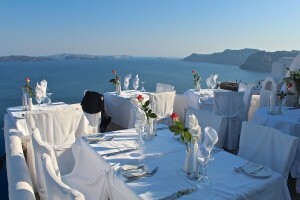 The Ambrosia Restaurant offers the most stunning view of the Aegean Sea along with the awe-inspiring white-washed cubist houses of the two towns of this village, Fira and Oia. For a dinner, you can enjoy candlelight at your table with only the stars above your head. This tranquil and dreamlike terrace restaurant is a dinning choice second to none especially for the newlyweds. The restaurant offers neoclassic Greek cuisine that comes enriched with flavors from all over the world.